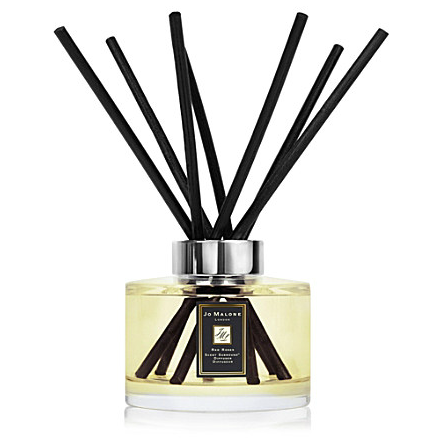 Smart new products in Jo Malone’s ‘Home’ range: Scent Diffusers and Room Sprays. Available in the classic Red Roses, Pomegranate Noir and Lime Basil & Mandarin, they come smartly packaged and expensively bottled. The glass scent diffuser is extremely heavy and the reeds are black, which is a nice point of difference, I think. Very in keeping with the understated sophistication of the brand! The room sprays are similarly chic. I love the idea of the scented Drawer Liners and Sachets – they only come in Lime Basil & Mandarin, but if that was your signature scent then you’d just have to buy them, surely? I love to be matchy-matchy with my fragrances! 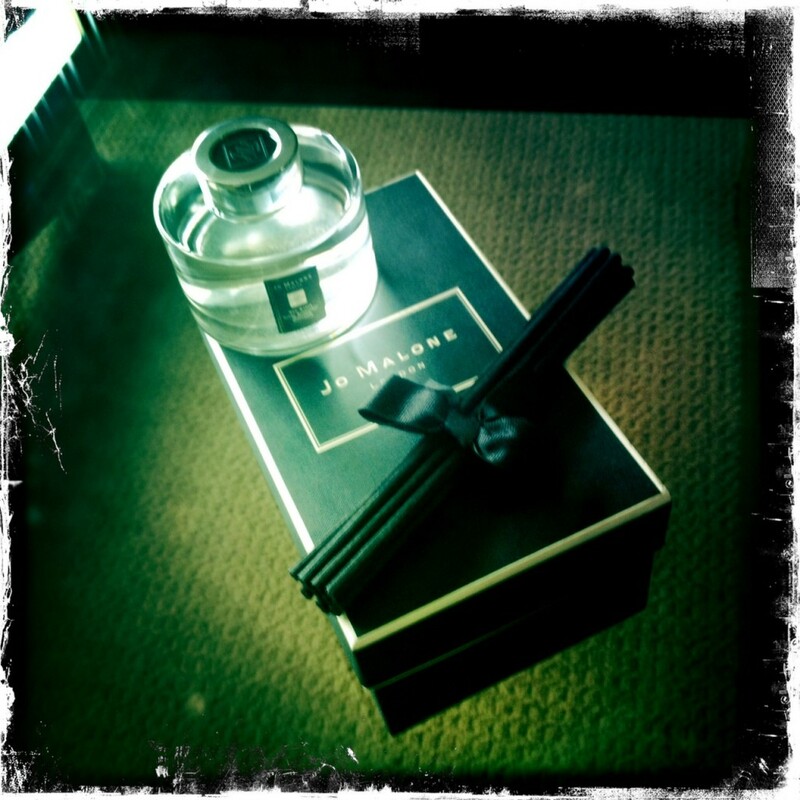 I do like the ‘Home’ packaging – it’s classic Jo Malone reversed, with a black box and cream trimmings. Still nice and simple, but a little more glamorous, I think, than the usual combination. Everything from this range would be good gift-fodder if you’ve the budget for it – it needs no wrapping or embellishment and I can’t imagine anyone being disappointed! My favourite is the Red Roses scent diffuser – the lightest, most delicate rose fragrance. Very cheery for Spring! I think that this is possibly the most effective “jar o twigs” that I have ever tried – the scent is just beautiful and manages to somehow scent the entire house without being too overpowering when you’re close to it. The black reeds look very sophisticated – I was worried that some kind of dye would come off them and stain the water, but this hasn’t happened. Of course it hasn’t – this is Jo Malone we’re talking about here!